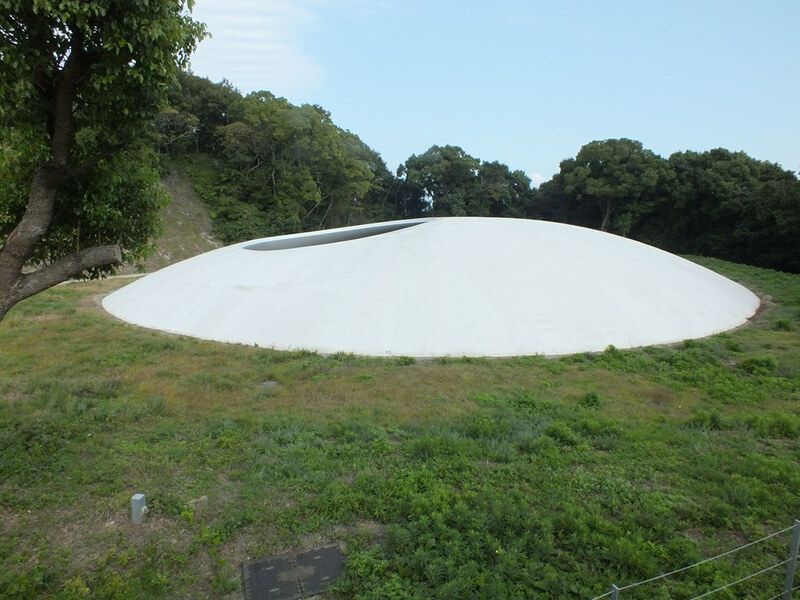 In recent years, Teshima has become Benesse Art Site‘s new “playground”. 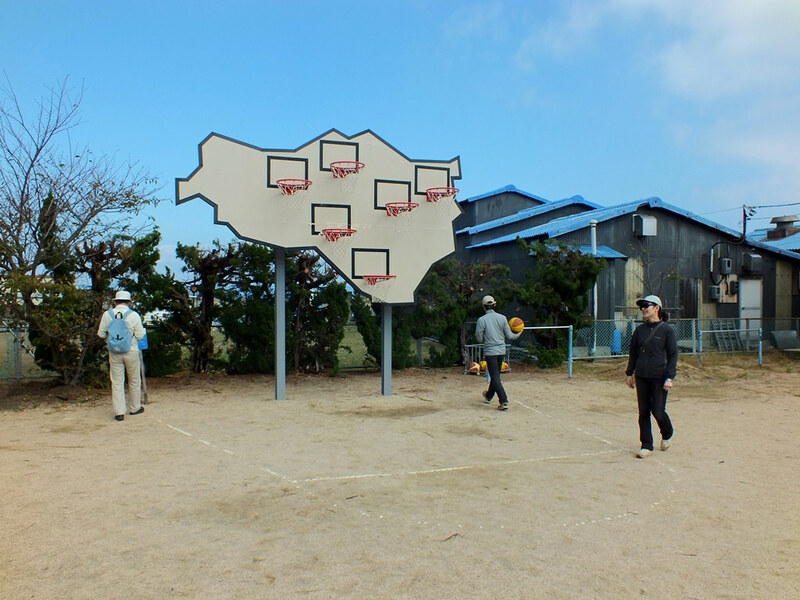 It is true that Naoshima and Inujima have started to run out of space for new art. It’s nice to see Teshima becoming an attractive place again after so many years of hardships. However, I’m a little worried that its newfound fame, especially abroad, turns it into a place that becomes a bit too touristic, which could spoil its beauty or its wonderfully quiet and peaceful atmosphere. Let’s hope a balance can be found between attracting more people and keeping its identity as one of the most pleasant islands of Setouchi. 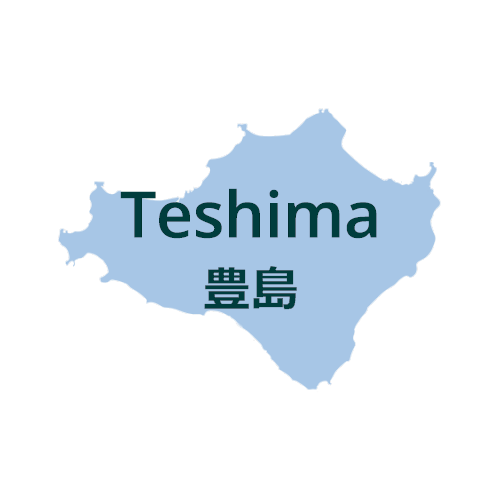 Teshima’s main shortcoming is that it’s a bit difficult to reach from Takamatsu. There is a regular direct boat between Takamatsu and Ieura Port, but it is a little bit pricey and there aren’t that many boats a day. So it sometimes can be more convenient to make a detour by Shodoshima or Uno. It takes longer, but there are many more options this way, both in terms of scheduling and destination as it allows to reach Teshima in Karato Port too. 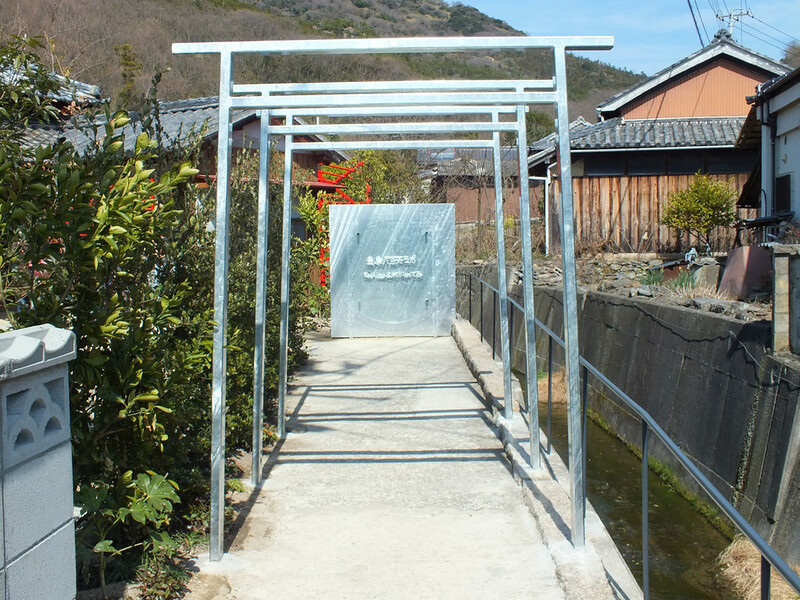 There is a direct boat between Karato and Takamatsu, but outside of the Setouchi Triennale, it runs very rarely. If you’re coming from Honshu, you will most likely arrive by ferry from Uno Port. This ferry with a final destination to Shodoshima allows access to both Ieura and Karato ports on Teshima. There are also a few boats from and to Naoshima and Inujima, but make sure to double-check their schedule. The island has a certain size. While it’s possible to walk around the island, it will take a long time to do so. It takes around 30 minutes walking between two villages, depending on your own pace and depending on whether you’re going uphill or downhill. However, there is a bus going around the island. 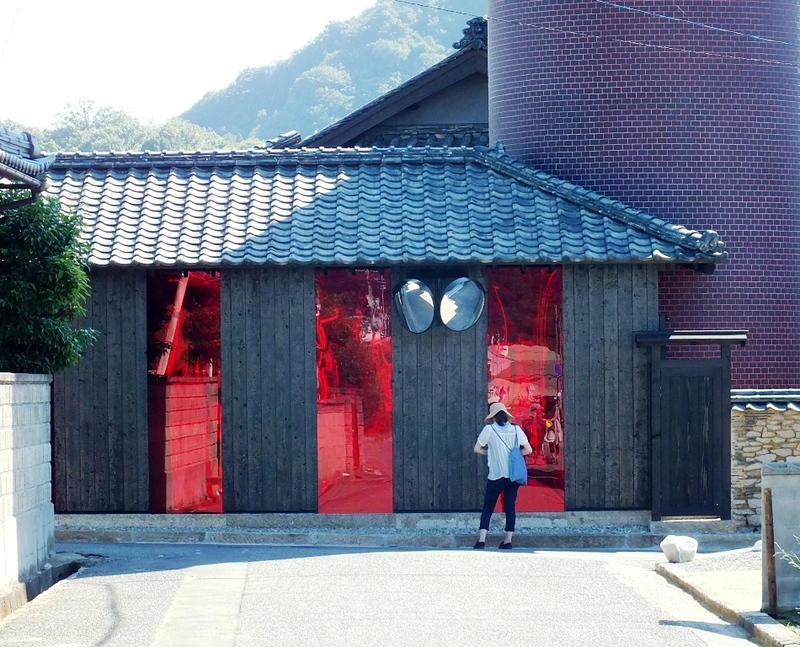 Note that it doesn’t run very often outside of the festival and can be quite crowded during the Setouchi Triennale. It is possible to rent electric bicycles, and when the weather is nice, they’re the best way to get around the island. It gives you the mobility and freedom in a way other means of transportation won’t, allowing you to enjoy the beauty of the island and the area at your own pace. Also, being able to effortless climb a hill (some are pretty steep) is priceless. You will probably need to make a reservation or arrive among the first on the island. They go fast. If you’re coming from Honshu or Shodoshima, you can bring your own car, but I really advise against it. Cars are not a good way to go around the island, you’ll miss the most beautiful landscapes and parking is scarce in some areas. There are baggage lockers in Ieura port (maybe in Karato port too, although I can’t confirm at the moment. They should be available from 8.30 am to 5 pm and should cost 300 yens (I could be wrong). 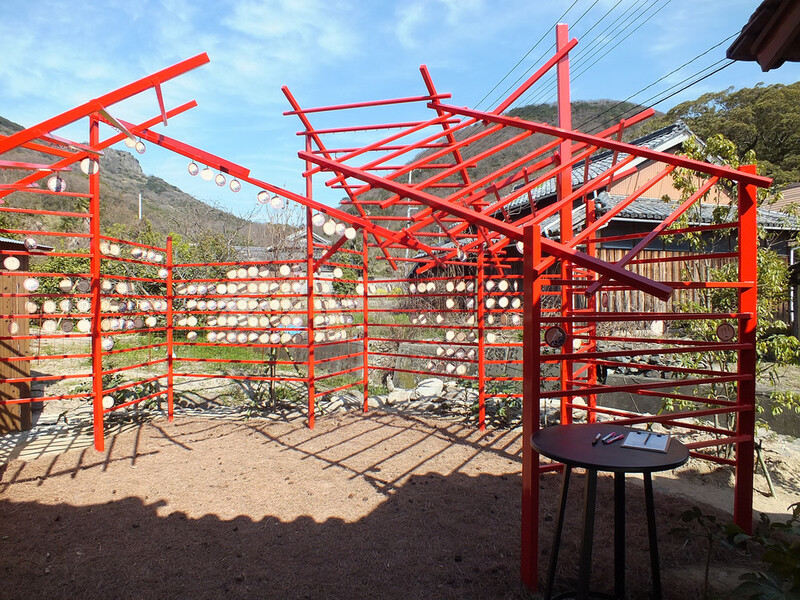 In general, outdoor artworks are free and accessible in permanence. 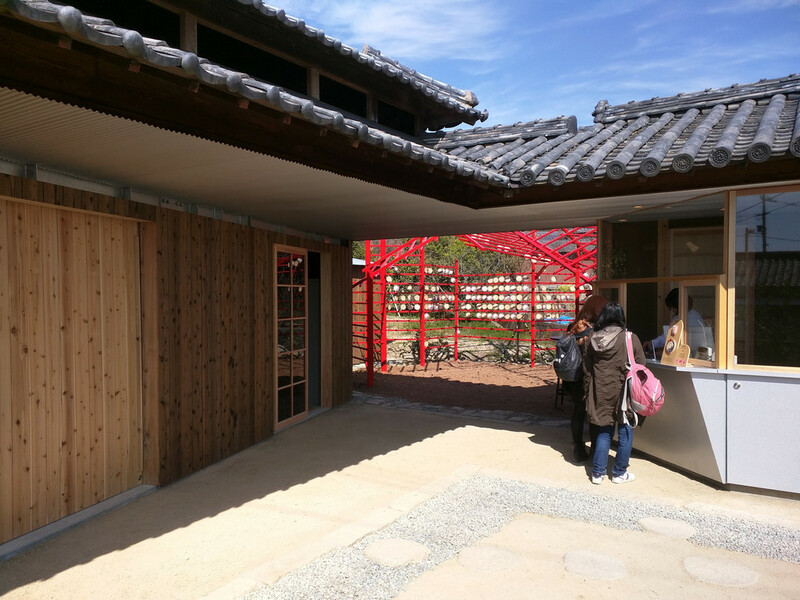 Unless stated otherwise, indoor artworks are open every day except Tuesdays during the Setouchi Triennale. Make sure to double check opening and closing days and hours on official documentation as some art sites may have special schedules. 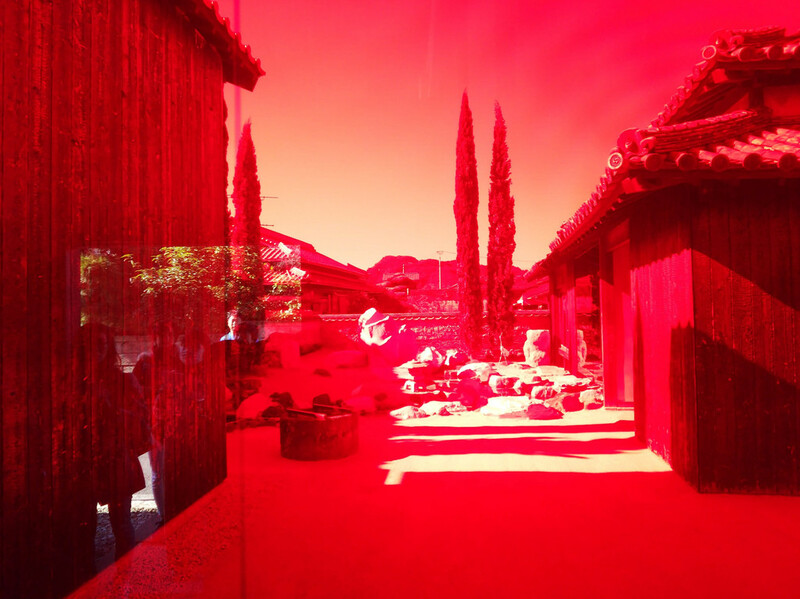 Entrance to indoor artworks usually cost 300 or 510 Yens without an Art Passport. Entrance is free for children and teenagers younger than 16. Consult the details of each artwork below or official documentation for special pricing. Note that some artworks have a numbering ending with B. 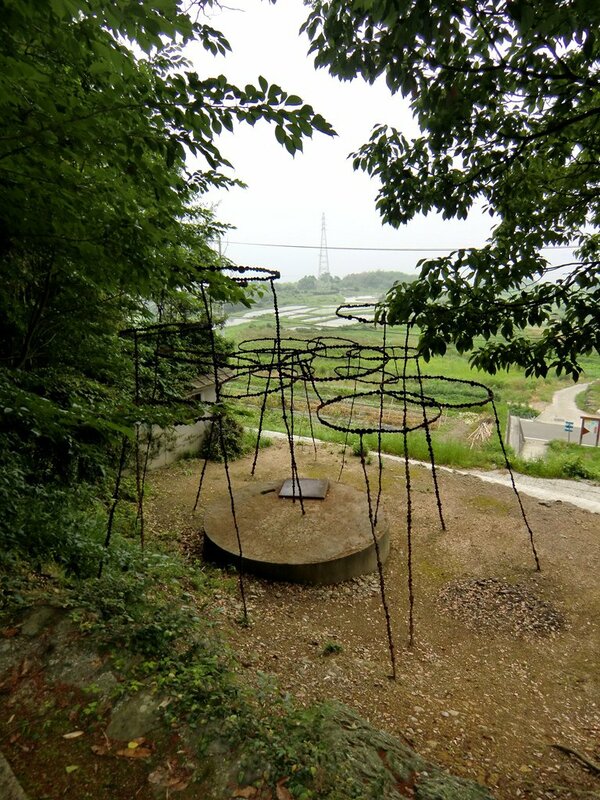 Those are artworks belonging to the Fukutake Foundation and managed by Benesse Art Site Naoshima (please read this blog post if you need clarification about these names). They are the artworks that may have special scheduling and special pricing. 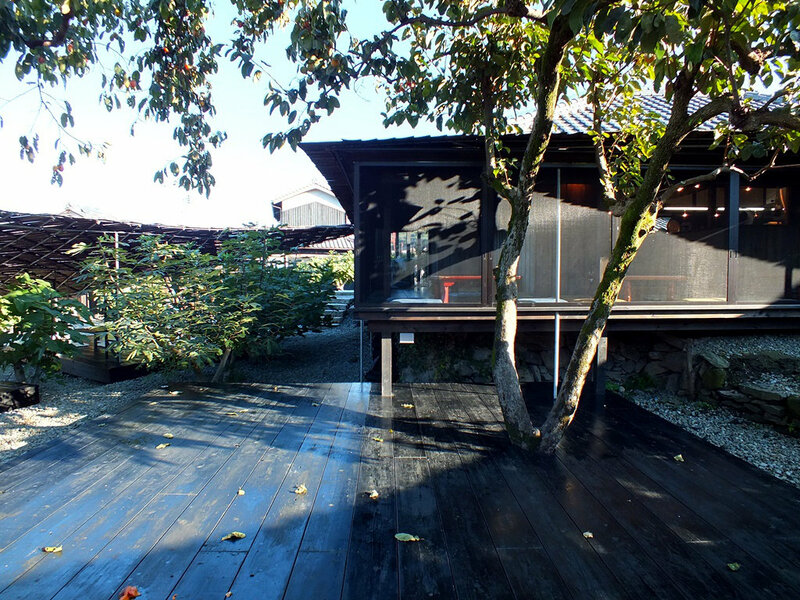 Managed by Benesse Art Site Naoshima. Review: I’m not going to lie, I wasn’t a huge fan of Yokoo’s paintings at first. I’m still not exactly a fan, but they’re growing on me with time. Being able to understand them helps to appreciate them (make sure you read the documentation, there is a possibility for guided tours too – see official site). The building itself is simply stunning. I especially love the fish pond running under the main room of the house. Inside the tower, a very unique experience awaits you, although it’s tough on my fear of heights. Finally, make sure you go to the restroom. Location: Ieura, near the village’s exit to Koh. Review: Ohtake’s artworks are often quite organic, they evolve over time (sometimes even include living things). I hope that this is the case here. 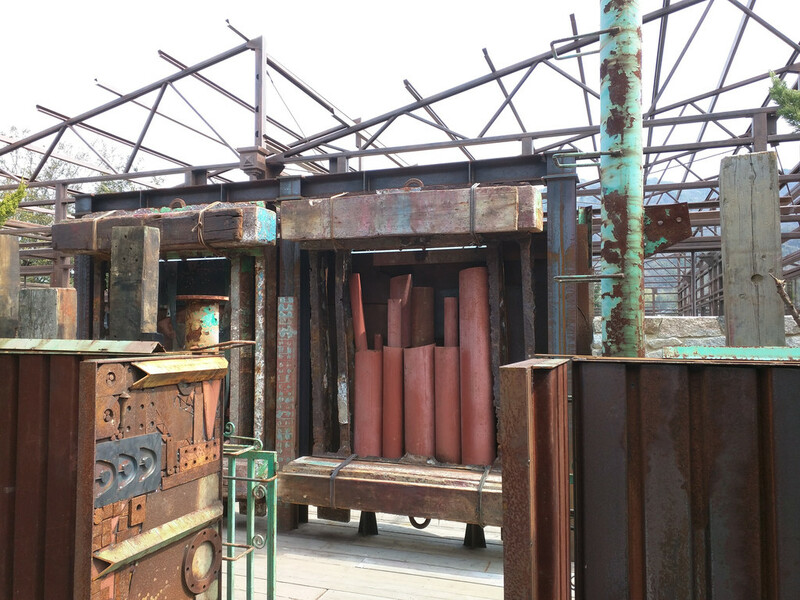 Otherwise, this installation is just an upside-down boat mold left in a warehouse that has been stripped of its walls and roof (only the metal “skeleton” remains). Some sort of ready-made that could be way more interesting. It feels unfinished, or rather a very long term project that is meant to evolve over time. Let’s hope this is the case. 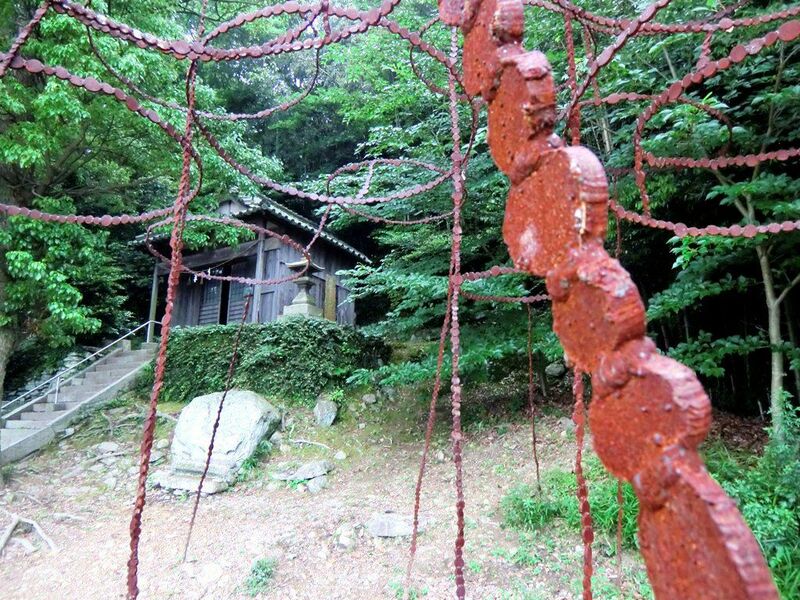 Actually, as I’m typing these lines in March 2019, Ohtake is in the area and has been spotted making changes to one of his other artworks (Haisha on Naoshima), so maybe Needle Factory is next? We’ll see. 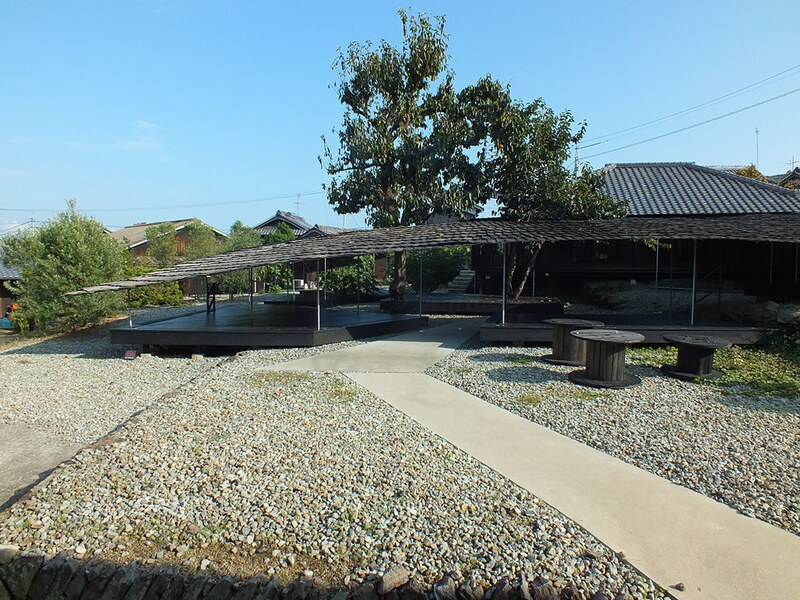 Location: Suzuri hamlet, by the sea, near Umi no Restaurant (both may be under the same management, but don’t mark my words). It’s basically a rental house. 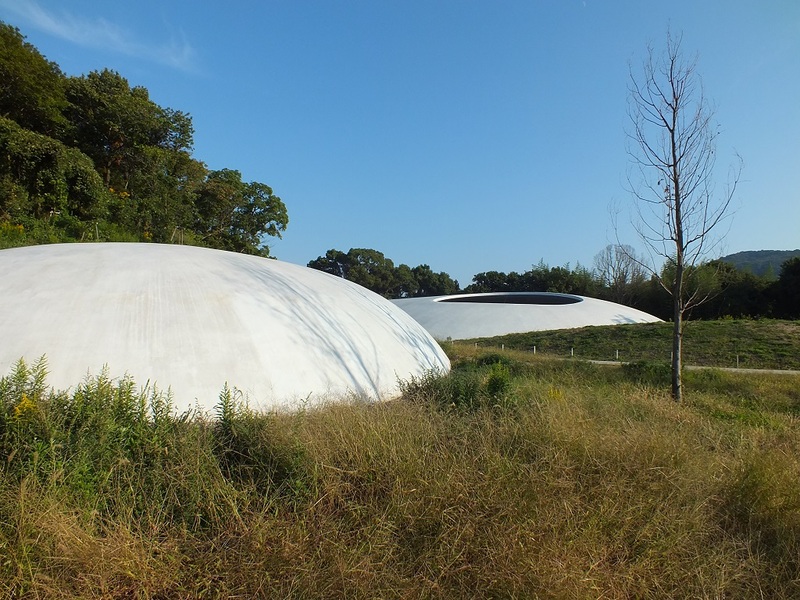 I’m not exactly sure to what extent one can visit it and under what conditions, but it must be possible or else it wouldn’t be part of the Triennale. Review: Strangely, I have yet to visit it. 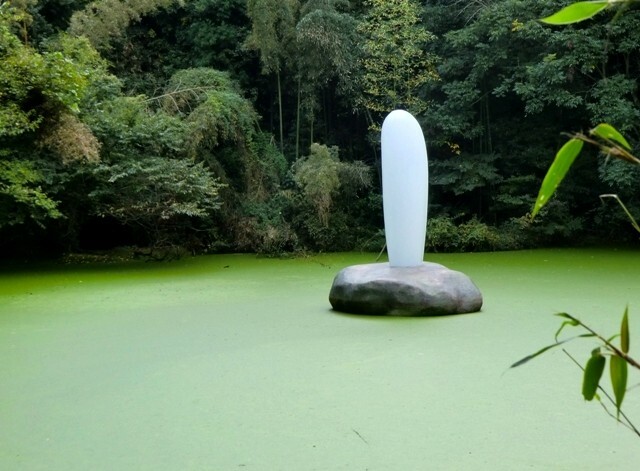 Review: This sort of monolith in the middle of a pond itself in the middle of a forest has an interesting surreal dimension. However, it also feels a little “cheap,” as it’s made of plastic or similar material. 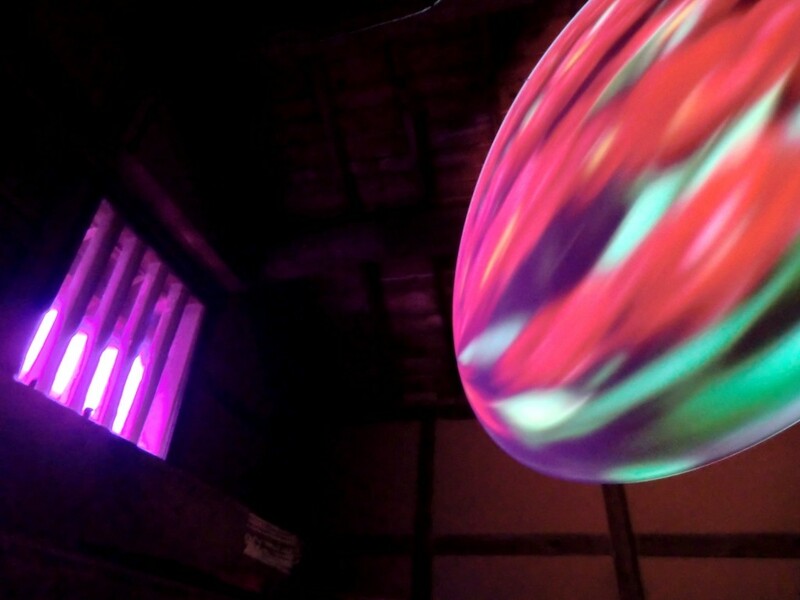 I assume that it really becomes interesting when it starts glowing, unfortunately, I’ve never had the chance to see it this way (it is linked to Kamioka Observatory in Gifu Prefecture and it will glow every time neutrinos are observed over there). Location: Right at the Karato-oka’s entrance coming from Ieura. 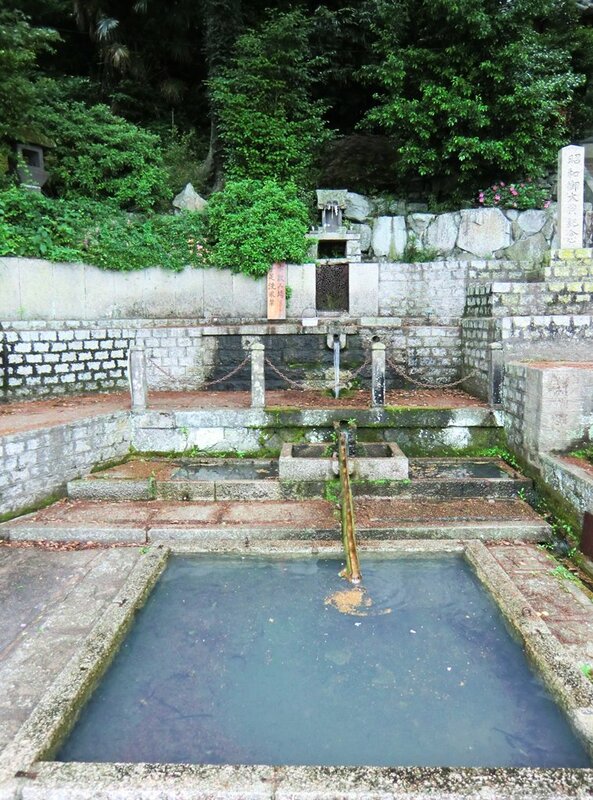 Right next to the “shimizu” (freshwater spring) that is kind of part of the art too. 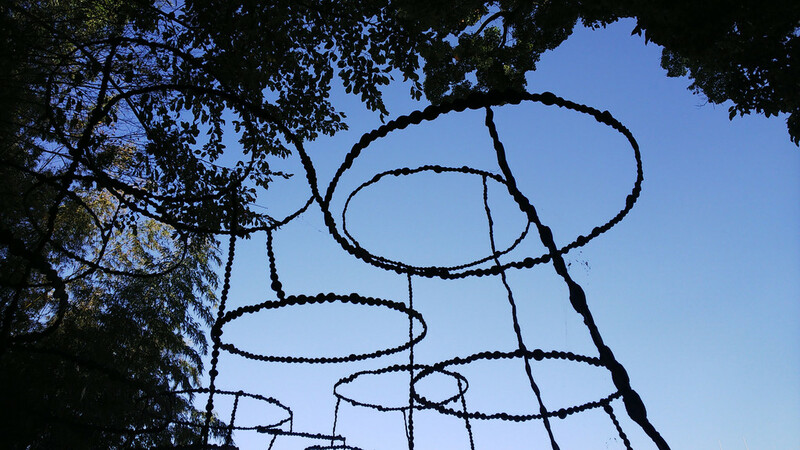 Review: This sculpture doesn’t look like anything special, and many visitors tend to overlook it. However, I advise you to give it a few minutes of your time. I think it really fits in its environment and helps to make the whole spot a bit mysterious, almost magical. I can’t help but imagine that it is some sort of playground for fireflies or fairies. Also, make sure you stop at the fountain right next to it. 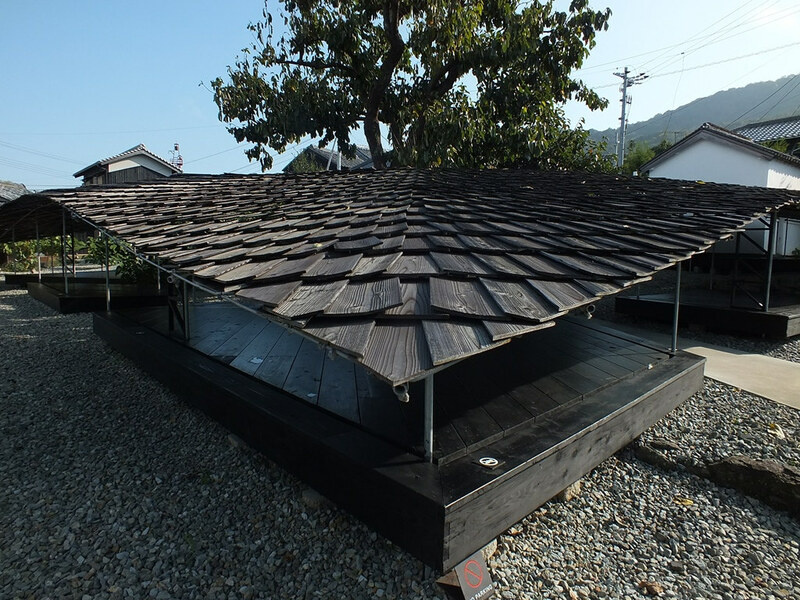 It’s the “Karato-shimizu” which is of great importance in the history of Teshima. 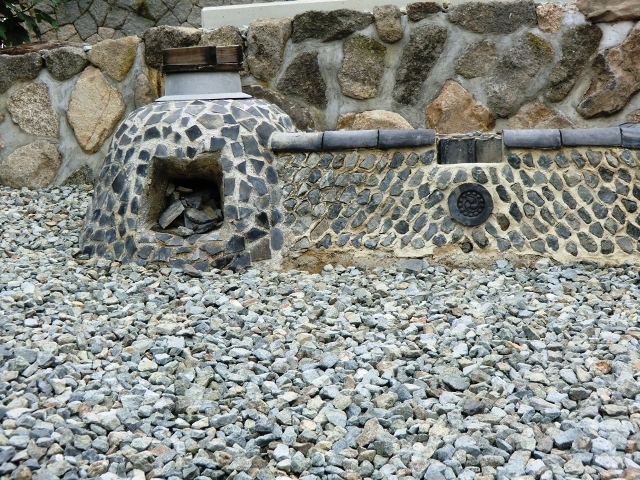 The name of the island literally translates to “island of abundance” and the reason for it is this very freshwater spring that is a pretty rare thing on the Seto Inland Sea islands. 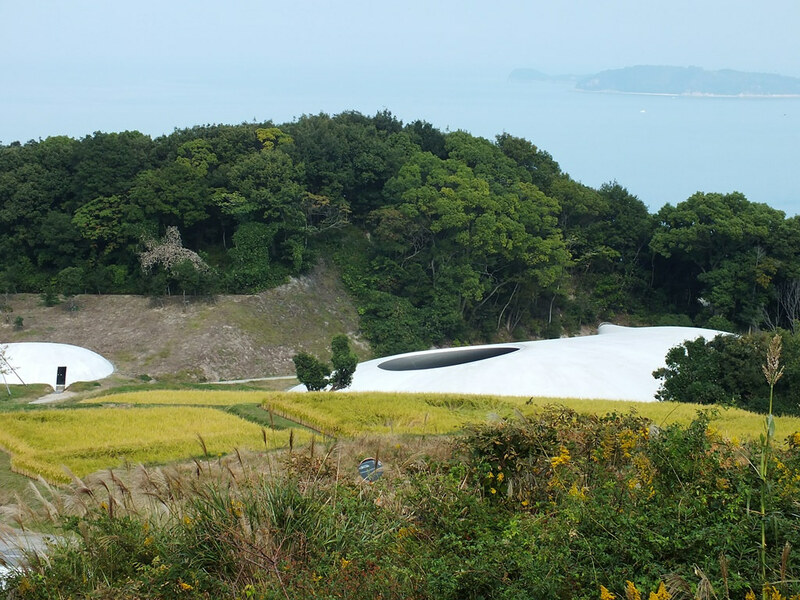 It is thanks to this source of water that agriculture could develop on Teshima and that it’s one of the few islands where rice can grow (and look where the rice fields are located, right downstream from the shimizu, it is of course not a coincidence). Finally, when taking pictures, make sure that you walk around the art, the best angle to shoot it may not be the first you see. Review: I can’t say I care much for it. Actually, the first times I saw it, I couldn’t help but find this installation quite pompous and uninteresting as I tried to “analyze” it. However, if you don’t try to do that, if you just let the colors and the atmosphere surround you, the place is more pleasant. Still, if you don’t have time to see every artwork on Teshima, it is probably one of the first you can cut from your list. Free entrance. Of course, foods and drinks are not free. Only customers can enter the restaurant (last order at 2 pm). The outside terrace is freely accessible. 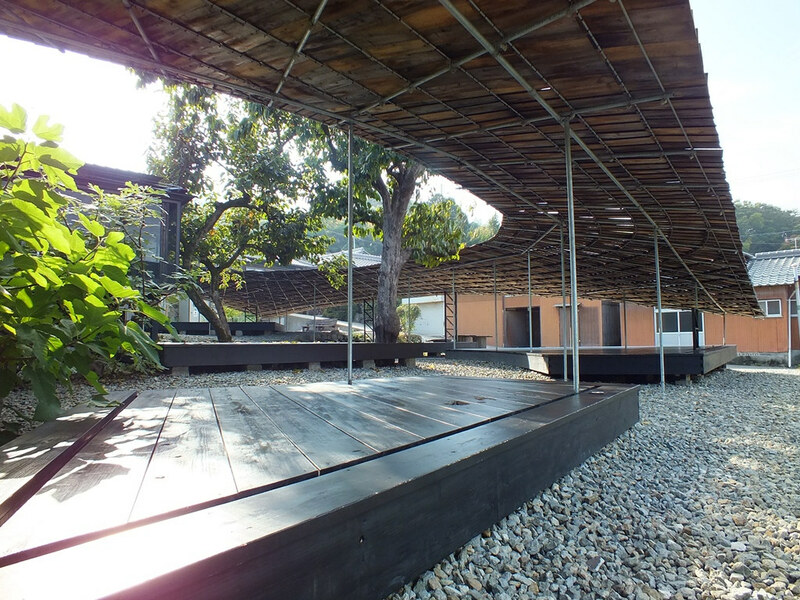 Building designed in collaboration with Kanada Structural Design Lab, Department of Architecture, Faculty of Fine Arts, Tokyo University of the Arts. 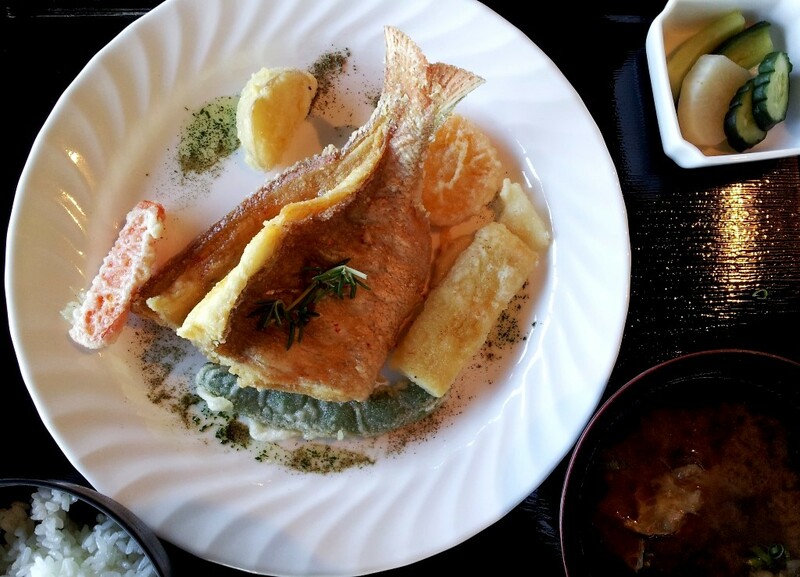 Recipes are designed in partnership between the island’s women and the chefs from Marunouchi Hotel in Tokyo. 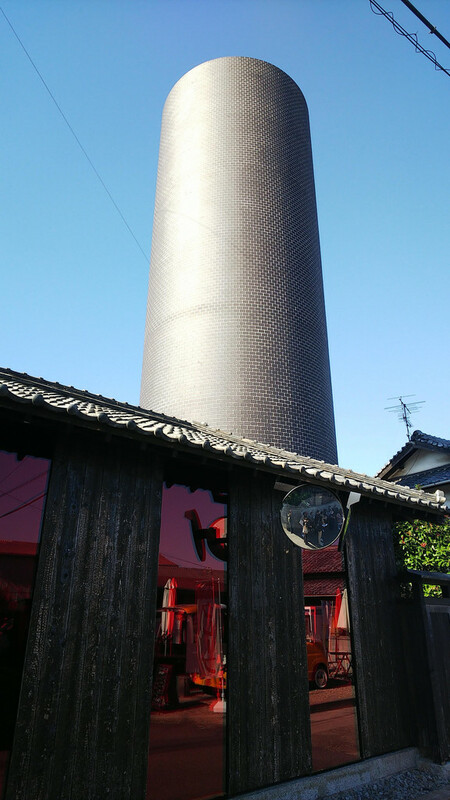 Restaurant managed by NPO Setouchi Koebi Network. Review: One of my favorite places in the area for all sorts of reasons. It is a place that you must experience, for its food and for its architecture. One small negative note, I have the feeling that nowadays portions are smaller than they used to be. I assume that the restaurant has become too popular, while the quantity of food produced can only increase so much. 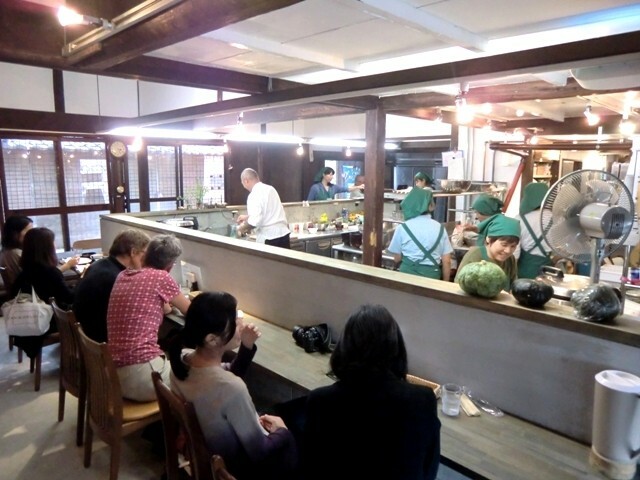 The thing is that pretty much all of the food you’ll eat in Shima Kitchen is grown on the island (or caught nearby for the fish) and by the Islanders. Or maybe, portions haven’t gotten that small at all, It’s me who gets too excited when I go and I simply want more? Who knows? 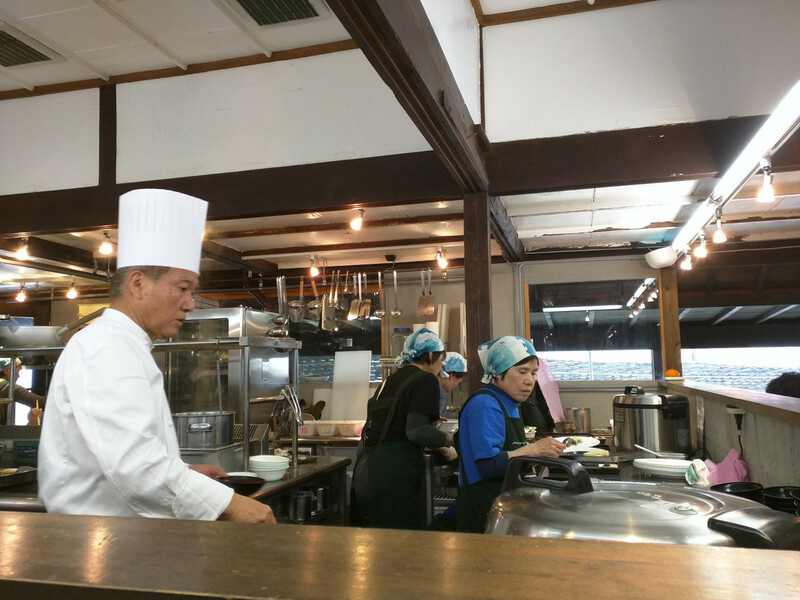 Also note that the cooking staff is entirely composed of locals, and the people from Karato are some of the nicest people you’ll ever meet. 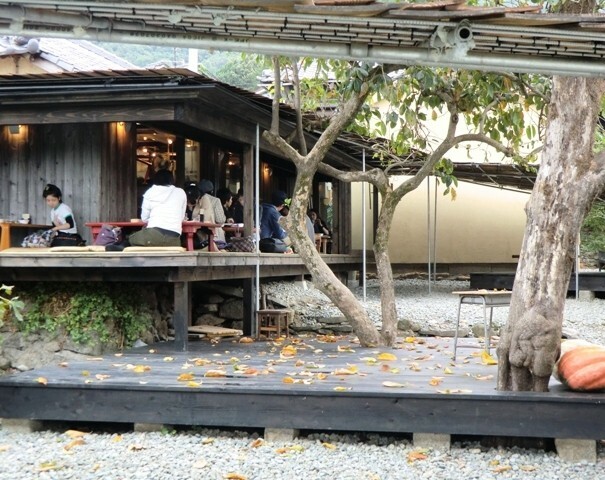 Finally, a practical piece of advice: if you want to eat at Shima Kitchen, try to arrive as early as possible, before visiting the other artworks in the village. 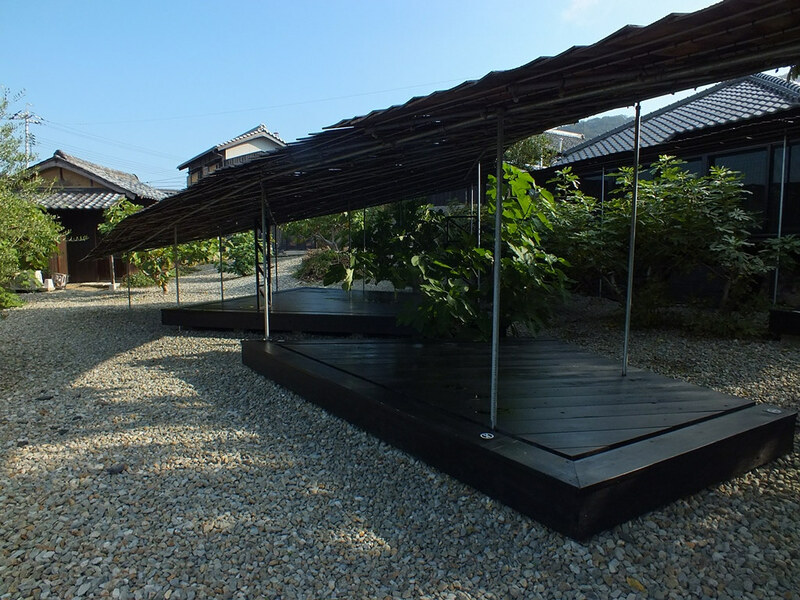 If there are a lot of people waiting (there will be during the Setouchi Triennale), reserve your spot and you will be given a time frame when they’ll call you. As it could be up to one hour or so later, you can enjoy some visits and then return to the restaurant when the time comes. Just be sure to be there when they call your name, or you will simply lose your spot. No special treatment. Review: If you’ve never been stuck in an old house in the middle of a powerful hurricane, this is exactly what it feels like. Enjoy. Review: Honestly, only go if you have plenty of time and insist on seeing every single artwork on the island. 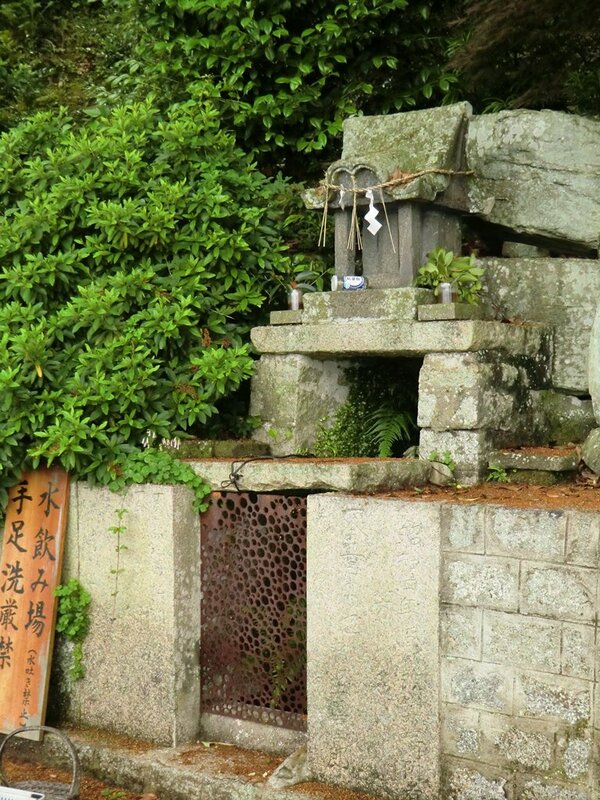 Going there will take you about 30 minutes walking (a bit less to return to Karato as you’ll be walking downhill). 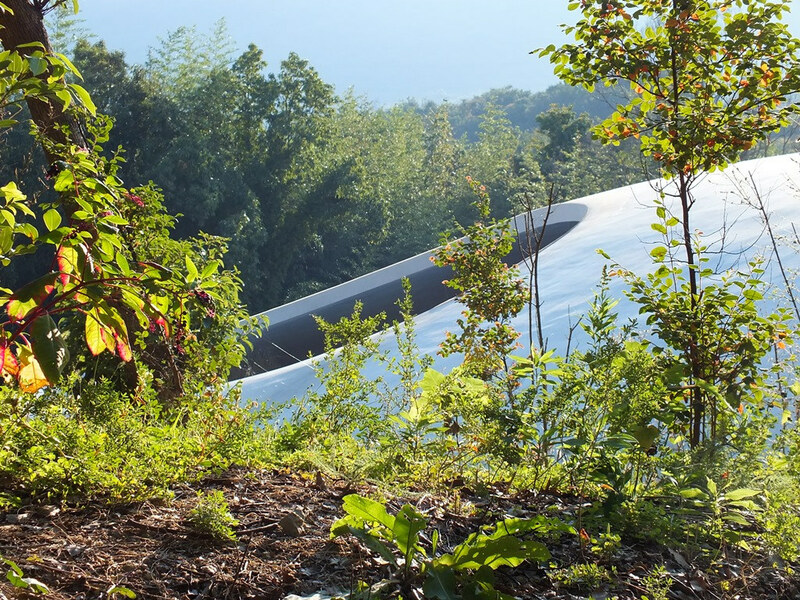 Once you’ve arrived there, you’ll realize that the installation is rather small inside the forest, it covers around a few dozens square meters probably, not exactly a “forest” even if it’s in the middle of one. 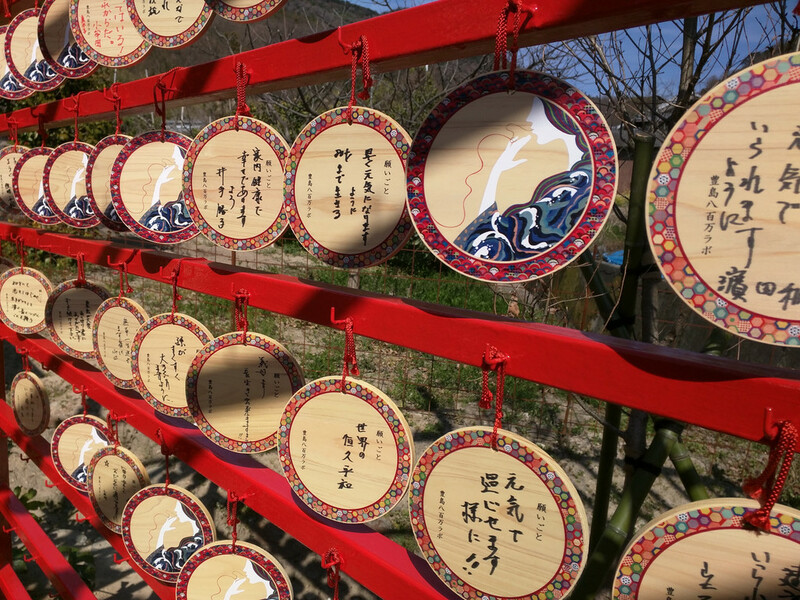 Now, when all the furin start chiming, it can be quite a pleasant experience, but if you go on a day with no wind at all, it may not even happen. In other words, go there “at your own risk” and only if you have plenty of time and if it’s on a breezy day. 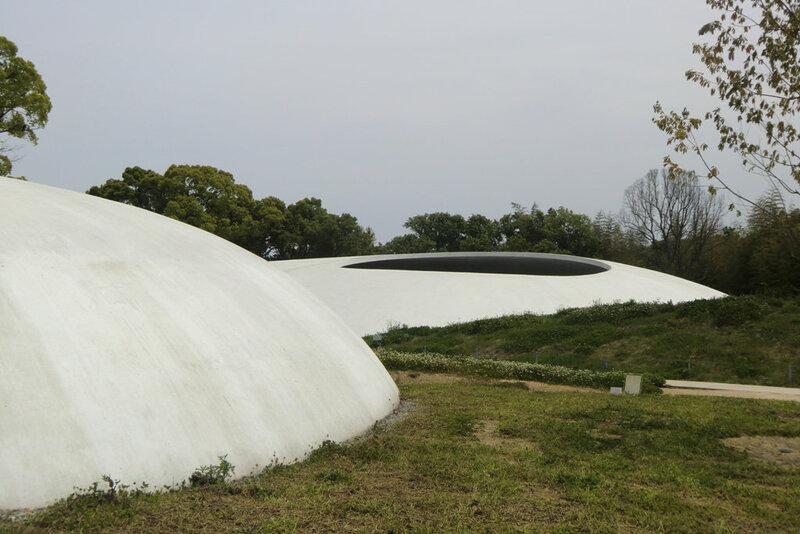 It is possible to buy your tickets for the museum in advance online during the Setouchi Triennale only. Review: One of the most stunning buildings I have ever seen. Hard (and pointless) to explain why, and pictures can only give you an idea what it looks like, not what it feels like to experience it. 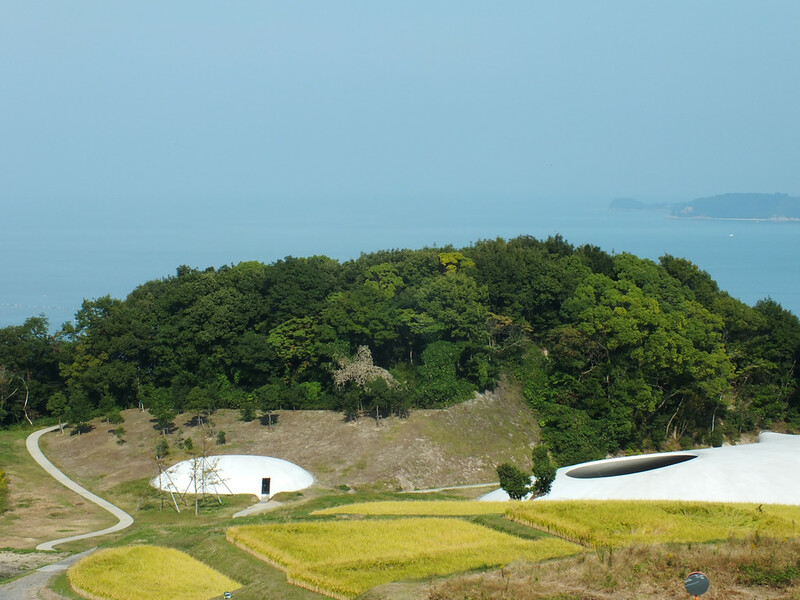 Let me say that if you only get to see one artwork on Teshima or even during the Setouchi Triennale, make sure it’s the Teshima Art Museum. And if you can avoid a busy day, it will only make the experience more unforgettable. 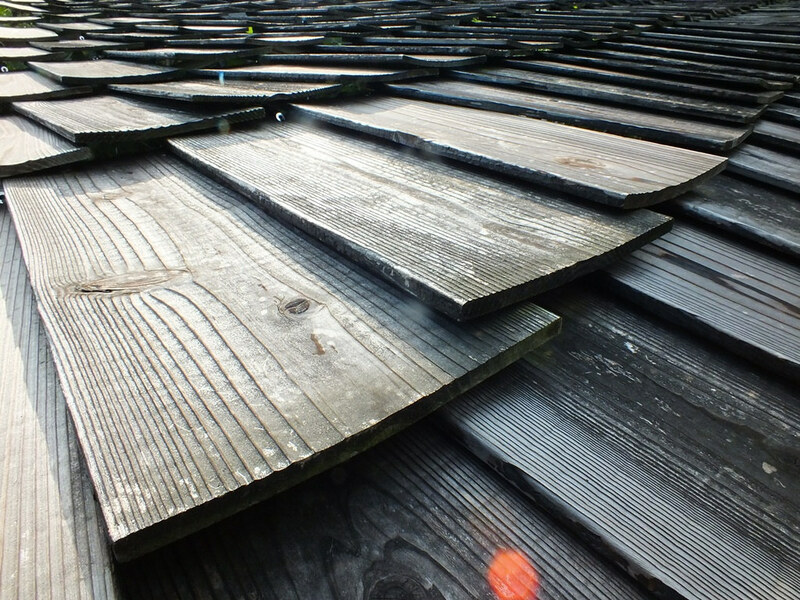 I had the chance to have it all for myself a few years ago (not sure if it’s still possible nowadays, the place has become too famous for that), it will remain as one of my favorite memories of Art Setouchi. 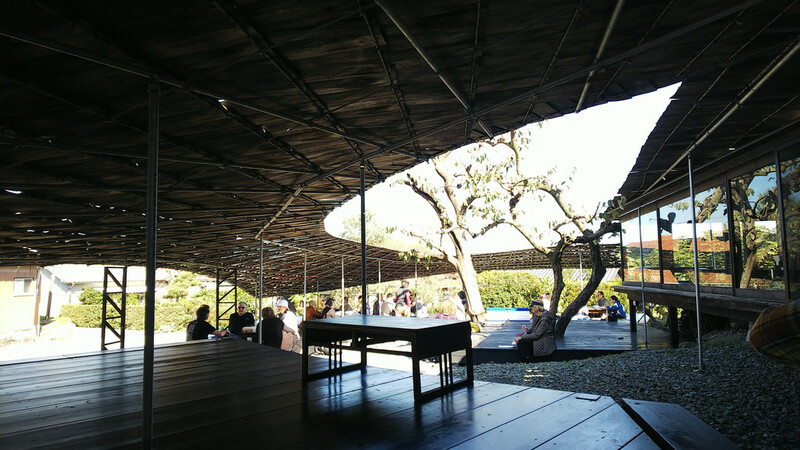 Review: It will probably be the most fun thing you will do during your trip to Teshima even (especially?) if you’re not good at basketball. I make a point of shooting a few hoops every time I’m in the area. Recording your heartbeat: 1540 yens. Your heartbeat will be recorded and added to the database. You will also get a recorded copy on a CD. Review: On the one hand, I like it. On the other one, I find the whole thing a bit pretentious. 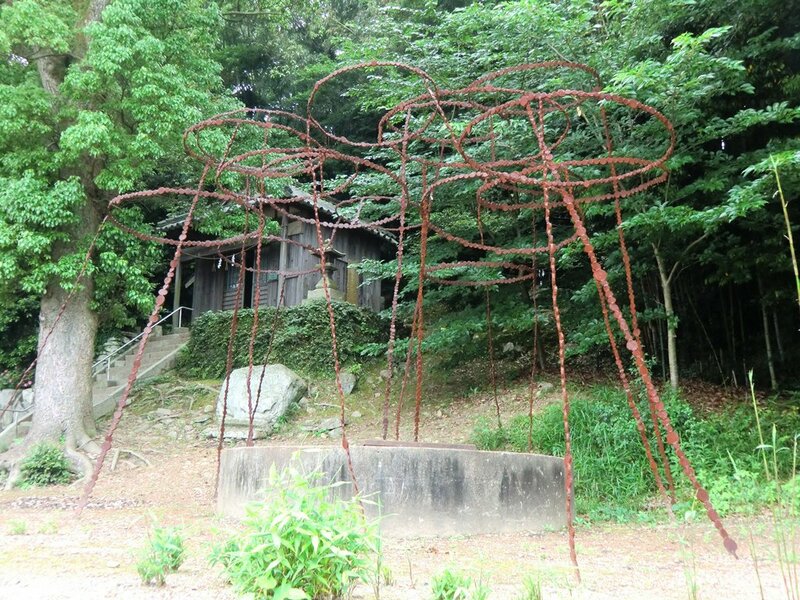 Also, Boltanski’s obsession with death annoys me at times, and I tend to find it out of place in the context of Art Setouchi. Let’s not forget that the goal of the whole endeavor is to revitalize the region. I guess the fact that he’s one of the most famous European artists around here attracts visitors, and that does help with revitalization. Review: I like the place, except maybe the “fake lab.” I guess I wish that there were some real science and research actually happening there. 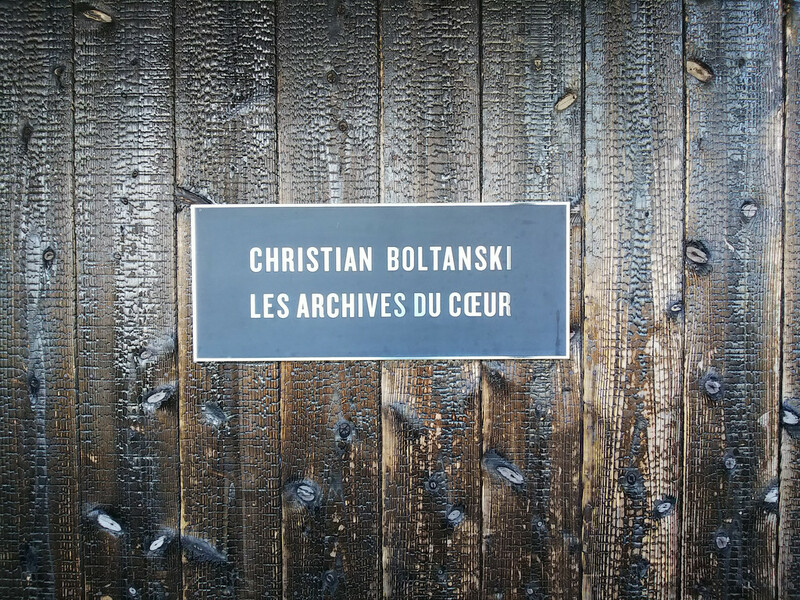 Maybe I’m asking too much, but that’s what the installation’s description led me to imagine the first time I went. So be warned, there isn’t a real lab there, unfortunately. The video is quite fun though (and if you can’t go, it’s on the artist’s Youtube channel. All in all, I really like the idea of the whole place, making mythology real thanks to science. I hope that in the future, the exhibit inside the building will change, but it seems unlikely. This new project will be started very soon and built over the next three years to be completed in 2022. In 2019, only the plans and concept art for the project is available.